However, police say that does not mean they are winning the war on drugs — far from it — with statistics showing total drug offences in the state have almost doubled between 2011-12 and 2016-17. With the emergence of the “dark web” and portable drug labs, authorities are finding it increasingly difficult to shut down illegal operators. 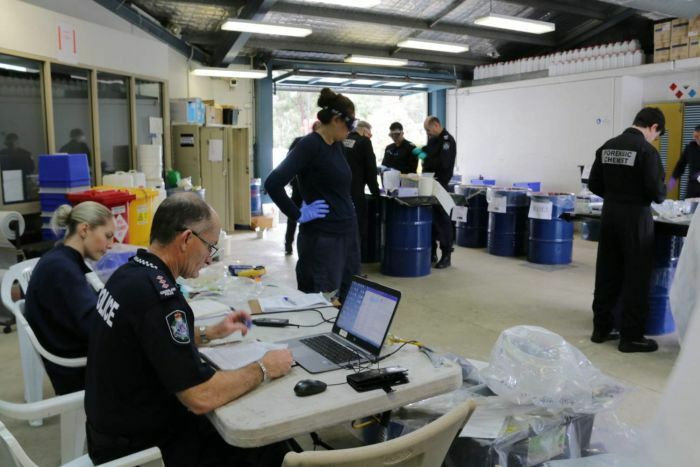 Figures from the Queensland Police Service (QPS) show 139 illicit drug labs were shut down in 2017-18, down from 379 five years earlier. Detective Senior Sergeant Sasha Finney, from the QPS synthetic drug unit, said manufacturers were avoiding detection by purchasing drug precursor chemicals online. Unlike regular internet activity, transactions made on the dark web using cryptocurrency are much more difficult for authorities to track. “Once upon a time they would have to do a pseudy-run to get some Sudafed tablets, now you can order that direct from China,” Senior Sergeant Finney said. “The dark web is a challenge for law enforcement throughout the world, not only here in Australia. Swinburne University dark web expert James Martin said it was drug users — or customers — that were really driving the trend online. “There’s a much larger concentration of both buyers and sellers in the one digital space than you’re ever going to get in a physical drug market,” he said. The notorious Silk Road website, an eBay-style marketplace for illegal drugs and weapons, was shut down by the FBI in 2013. But Dr Martin said there were now “a bunch of sites operating now that are bigger than Silk Road ever was”. “Police adapt and develop their capacities, and then online offenders adapt some more. So it’s a game of cat and mouse,” Dr Martin said. 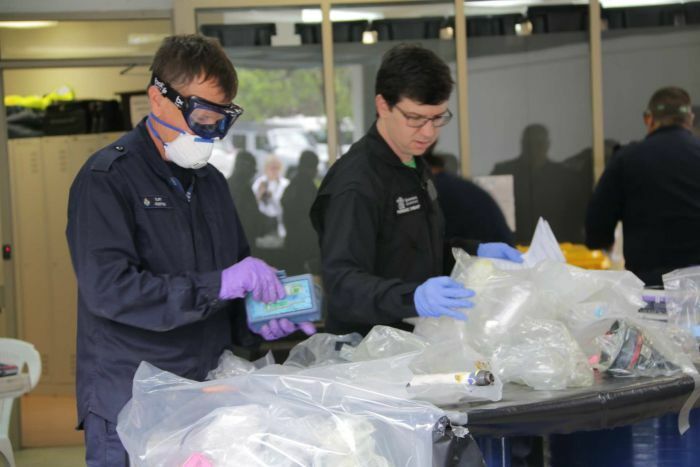 Each year, Queensland police seize hundreds of chemicals, items of glassware and improvised drug manufacturing equipment. 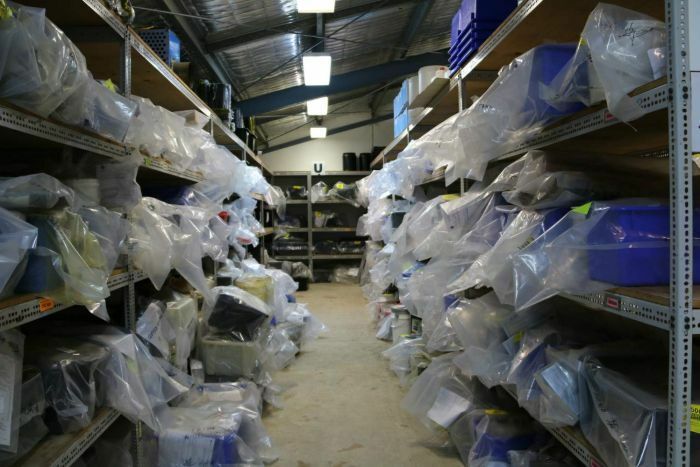 The exhibits go into storage, often for several years, until the criminal court case against the offender has been finalised. Once that is done, the exhibits are carefully sorted at a secure facility before being destroyed during a “drug destruction day”. 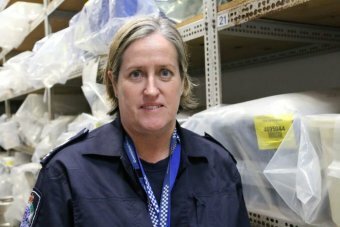 When the ABC is invited to a destruction day, a large storage facility is filled with modified beer kegs, kitchen dishes and plastic containers all previously used by drug makers. 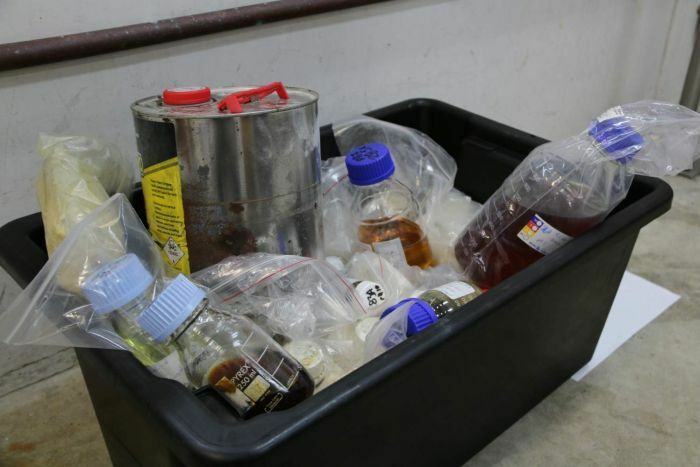 Forensic chemists carefully sort the contaminated items into drums so they can be safely destroyed — often by incineration. Senior Sergeant Finney said the offenders, who are often addicts themselves with no formal scientific training, were putting themselves and others at risk. “The big danger is some of the chemical fumes that are omitted are odourless, colourless and toxic,” Senior Sergeant Finney said.